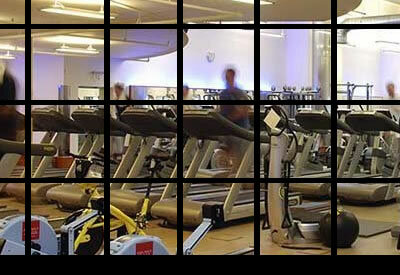 RHB Solutions is your single source for your fitness facility needs. Whether it is help with Sales, Marketing, Operations, Planning, Design, Acquisition or Sale of your facility, RHB can be there to guide you through it. From the moment the idea of a fitness center enters your mind RHB can be there to help. Having helped design and open many facilities, RHB can assist with feasibility analysis, lease negotiations, facility design build out and equipment purchases. The standard practices that have been employed by the industry for the last 30 years no longer apply. Today’s consumer is smarter and more sophisticated. They require a different approach. RHB’s approach to sales and marketing is driven by that understanding. A turn-key operation manual is ready to be implemented with every procedure and form required to run a fitness facility. RHB’s proven systems and procedures will help you drive revenue, stay on top of your business, improve facility safety and clearly communicate expectations to your staff. From compliance to recruiting and training, RHB will be at your side. Salaried or hourly? W2 employee or 1099 independent contractor? These are only a few of the questions we will help you answer. Labor laws can be complicated, RHB will help guide you through them. Whether you are looking to finance your facility, purchase an existing facility or sell your facility, RHBS can be an invaluable resource. Dealing with lenders can be taxing and can distract you from operating your business. We can facilitate the process to make it painless. Purchasing a facility requires extensive due diligence. RHBS has a detailed checklist that will walk you through the process. Ensuring the proper steps are followed will avoid overpaying for a business. If you are selling your facility we can help ensure you get the highest value for your club. Sometimes you only get one chance to attract a qualified buyer. We will help you make the best presentation possible.